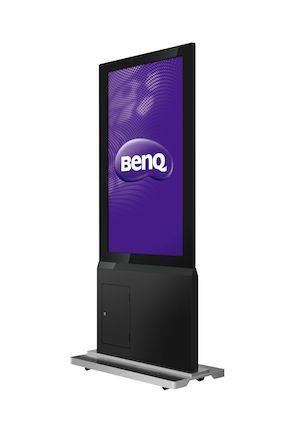 The What: To broadcast bidirectional information effectively to oncoming viewers, BenQ’s all-new DH551F ultra-thin dual-sided display brings full HD content to high-traffic public areas. The What Else: Featuring 700 nits of high brightness, just one inch of thickness, and support for portrait and landscape modes, the sleek-looking screen offers flexible setup options directly on walls, ceilings, or moveable stands. Designed to broadcast continuous content for up to 50,000 hours, the 55-inch display provides reliable media delivery via long life cycles that create more cost-effective campaigns for today’s retail, corporate, or transportation environments.